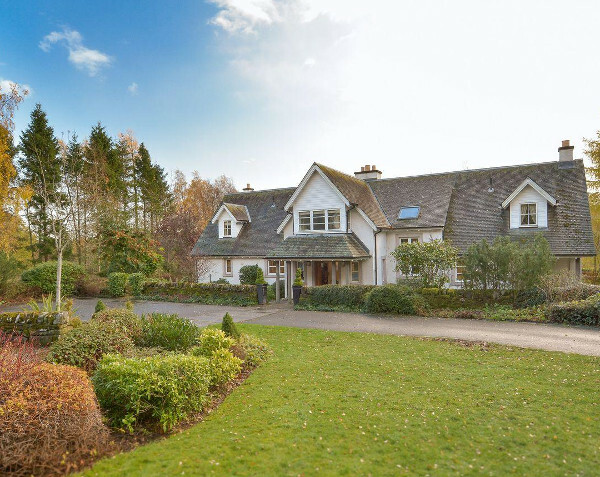 Located on the Ochtertyre Estate, "Gamefield" is a large, luxury, holiday cottage. Actually, Gamefield is much bigger than a cottage, sleeping 10 people in 5 bedrooms. You even have concierge service and your own outdoor hot tub at Gamefield. Gamefield sleeps 10 people in 5 bedrooms, with the bedrooms being made up of double bedrooms, although two of the bed are "zip'n link" - which means they can be twin beds if required. Four of the bedrooms are also en suite, with there being 5 bathrooms in total. Gamefield has two lounges, with both lounges having a wooden floor and an open fire. One of the lounges has a large TV and DVD player. The kitchen has a marble floor, with a breakfast area, Aga, cooker & hob, fridge/freezer and a dish washer. The utility room has a microwave, washing machine, tumble dryer and a freezer. The lawned garden has a patio area with furniture and a barbeque. 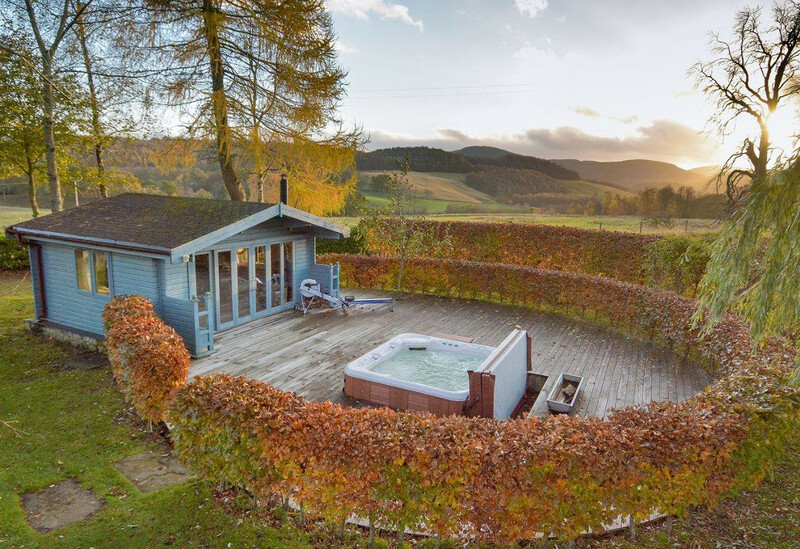 There is also a summerhouse in the garden with a wood burning stove; and the outdoor hot tub can be found next to the summerhouse - you'll find a photo below with the hot tub, and the views beyond. Holiday at Gamefield start on a Saturday, with weekend and mid-week short break available. Gamefield makes a great location for a special celebration, and the concierge service just gives you a little extra luxury! Should you want to see what's going on in the area around Ochtertyre Estate you'll find the town of Crieff just a couple of miles down the road; Crieff has a selection of pubs, restaurants, shops and cafes to try. There are also fishing, shooting, golf, walking and cycling opportunities to be had during your holiday. Loch Earn and Loch Tay offer water-sports too. Gamefield has a nice quiet rural location, however the Ochtertyre Estate is close to the A85 - this means you get the best of both worlds, you can enjoy the peace and quiet, but it's not too difficult to get around! The city of Perth 20 miles to the east; with the Loch Lomond National Park being the same distance to the west. Attractions including Drummond Gardens, Macrosty Park and The Strathearn Gallery are also worth a visit during your holiday at Gamefield. Finally, If you like a tipple of Whisky, Gamefield should be right up your street, with a choice of distilleries nearby, including the The Famous Grouse Experience in Crieff.